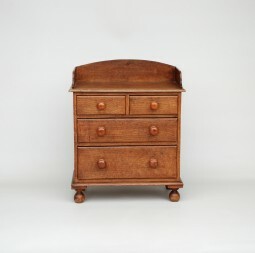 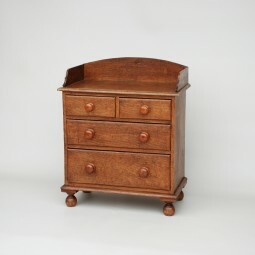 This is a small chest of drawers. 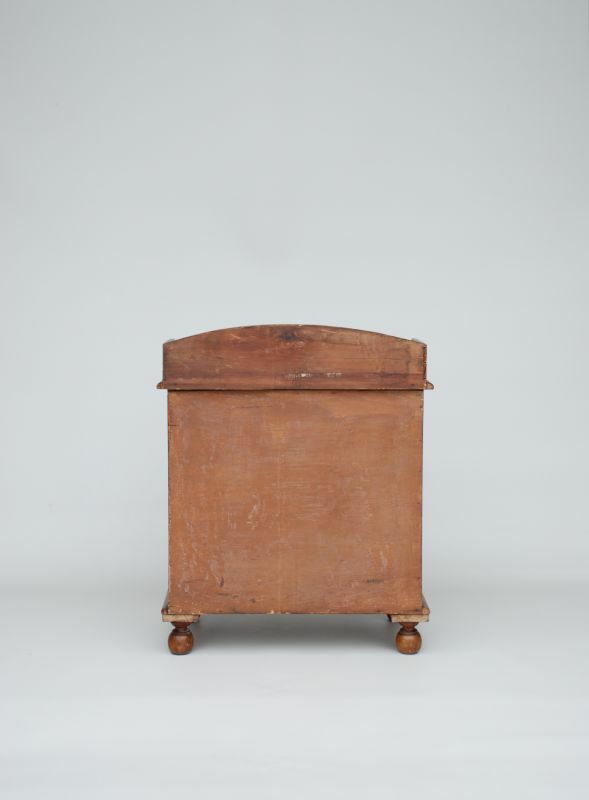 It was made in about 1900. 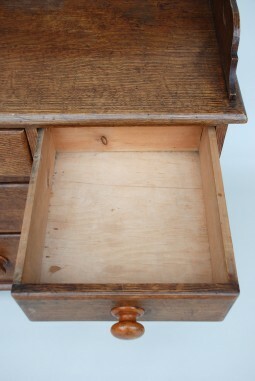 It is in very good and original condition. The interesting feature is the paint finish known as graining or scumbling. 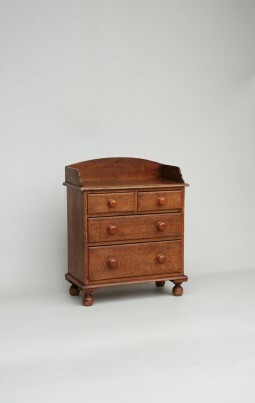 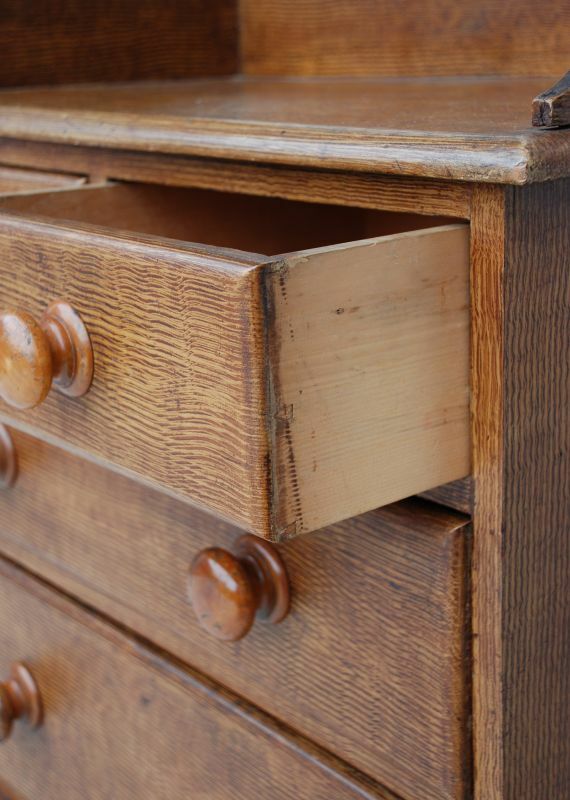 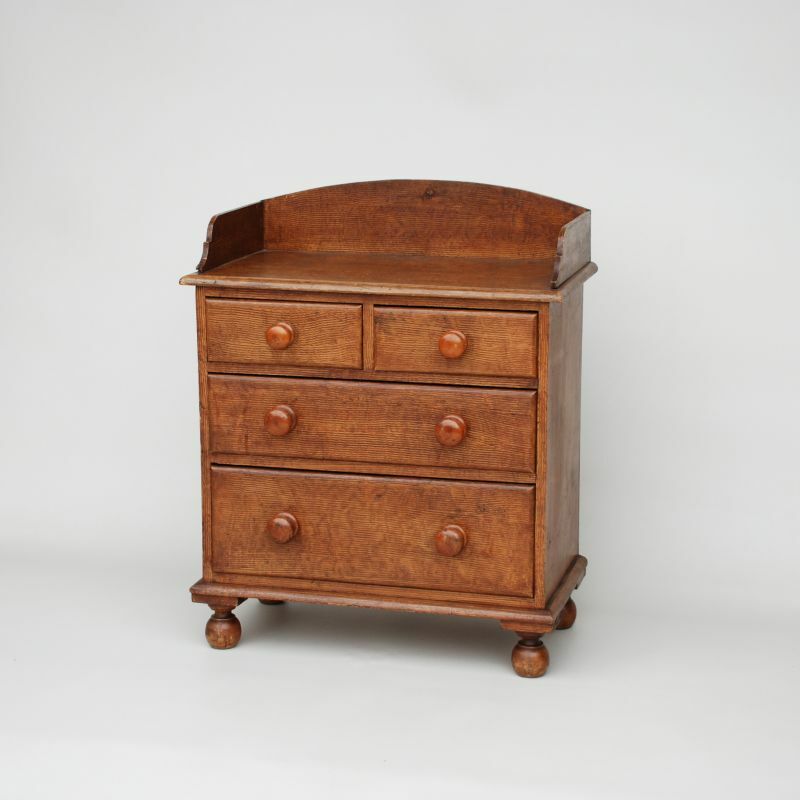 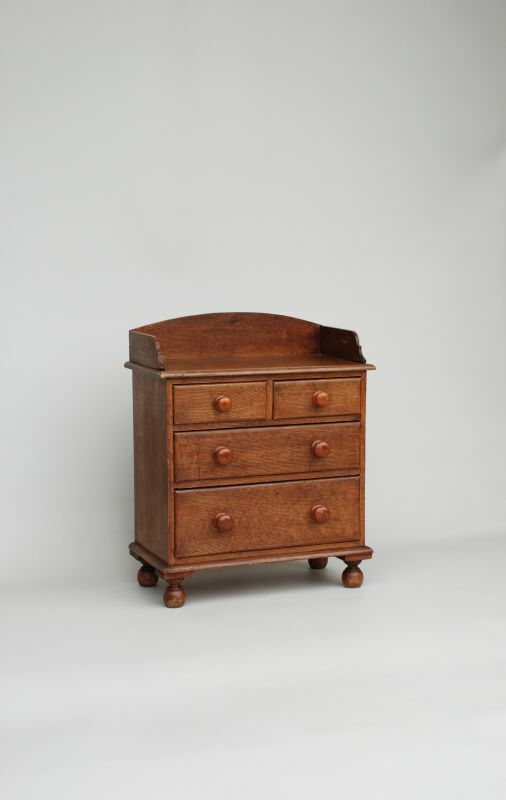 It is a pine chest of drawers made to look like oak. 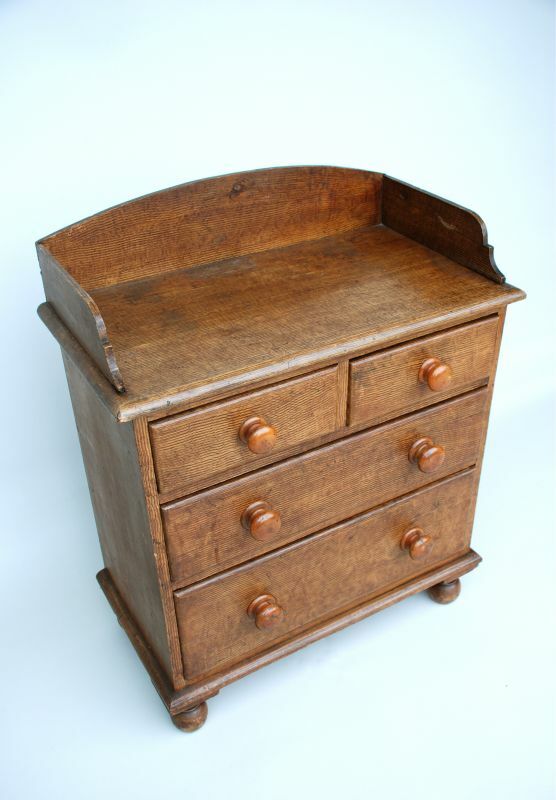 Unusually it has a back and drawer bottoms made in ply, if it wasn't for this I would have dated it 20 years earlier, but it is original. 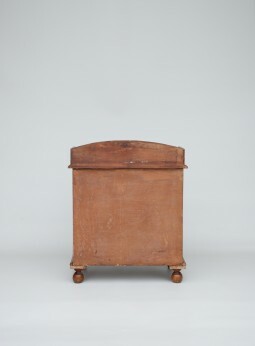 The measurements are 76 cm wide, 40 cm deep and 94 cm high.